Remove and replace the cartridges. Reseat the print head to correct print issues or clear error. Remove the printhead: cleaned the rear contacts with a cotton bud and surgical spirit. Left the part 5 minutes to dry. Install the printhead and the cartridges. The printer wil be into printhead clean mode and will return to normal mode. Press and hold both selection buttons underneath the screen, and switch on the printer. After a long start up the 'copy' screen appeared, and it printed a copy of a sheet. The print head is broken and it must be changed by a new one. Judging from all the posts I see on this very same problem, as well as my experience, this is a manufacturer's problem, a system defect. I've got this error and it is THE SAME print head that came with the printer. Genuine CANON cartridges, always. Canon printers never have impressed me and the service is worse than none. I was happily printing things, then went to print something else and this error message came up. Talk about great timing..NOT. I am in the middle of sorting my accounts for my tax return :-(. Now it is going to take me time to sort this that I don't really have. What is so frustrating about this error is that it makes the unit completely inoperable. The scanner is still perfectly functional, bur I can't use it because the printer error message takes over the whole unit! Looks like the next step is to try a replacement. Same problem as listed above. HOwever, i purchased new Canon printhead + all new cartridges. What a waste of money that was! still same error. Even the Service Mode is inoperable. Our printer did this last night. We recently upgraded our Mac laptop system software (or whatever) and when I tried to print a Word doc, the error message popped up and wouldn't leave. I left the printer turned off overnight and the message was gone this morning. I used it this afternoon to print some Adobe files with no trouble but when I tried again to print the Word doc it popped up again. So I turned the printer off, made a pdf of the word doc, and then printed it. Canon says this is an internal malfunction that will require service if standard cleaning did not fix this. Thanks everyone. I've tried all the tips with no success. I will be purchasing a new printer which will not be a Canon. I too will fix this problem by replacing this Canon u052 problem with a new printer. It's amazing how much support was given to Canon by the "techs" who sold out! Dopo aver fatto anche io ciò che dice Jaime, sono molto contrariata dal fatto che una multifunzione diventi una zero funzioni solo per la testina di stampa. I had the same error code. I removed the ink cartridges (not canon) and the print head (make sure you don't touch the underneath inking element or the rear contacts)and then cleaned the rear contacts with a cotton bud and surgical spirit. Removed a fair bit of blue coloured dirt. Left the unit 5 mins to dry and then put it all back together. The printer then went into print head clean mode on its own (5 mins) and afterwards back to normal - I hope this works for you too. Canon consumers should be aware there is a known defect with the PIXMA MX print heads that Canon has been hiding. 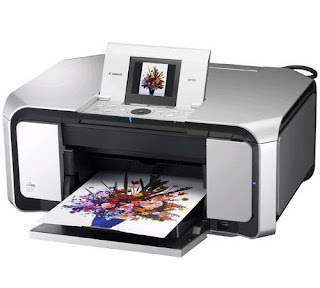 Federman & Sherwood has filed a consumer class action lawsuit against Canon USA, Inc., and was brought on behalf of all consumers who have purchased certain defective printers manufactured and distributed by Canon USA, Inc. Thus far, at least 16 different Canon printer models have been identified that display an error message of "U052: Wrong Printhead Error," after limited use. This error indicates that the printer does not recognize the printhead, or that the printhead itself is faulty, but disables all functions of the printer, including scanning and facsimile capabilities, rendering the printer unsuitable for its intended purpose and use. Regretfully I too have have the same UO52 error which appeared out of nowhere. Have tried all suggestions I have read online with no luck. Waiting for return email from Canon but not expecting much help based on what I've read. Never again another HP and now Canon. ahh ... scusate non ho terminato.. ci sono pure degli imbecilli.. che vendono le testina a non meno di 80 euro.... questi sò proprio scemi...sparatevi..
U052 Cost me a day fooling with my mx5320 JUST out of warranty, but nearly new w barely 100 pages printed in graysCale text mode- but still halfway into black cartridge #3 to add it all up it costs a buck or 2 per page to print plain text WHAT A BUNCH OF CRAPOLA! CANON I will never buy your products again-NEVER! Hi, What part of the printer head do I clean with alcohol? This problem suddenly popped up on my printer. Called Canon Tech Support, was told to unplug, press PWR 5 times, the plug in. Nada. I asked about a service manual, and was told it was proprietary! After learning about the class action lawsuit I can see why they are ducking and covering, but it sure takes Canon off our organization's printer purchase list until they come clean. I too have had the U052 error come up on my Canon 892. I took the printhead out and cleaned it several times with alcohol--not the best--and soft eraser. No luck...I still say it is an tiny elctrical problem. I then rubbed, touched the ribbon wiring leading from the printhead to the printer. I tenderly pulled and pushed a little on the ribbon, especially where the ribbon is connected to the printer. Damn, something happend, because my printer-892-- works now. I just checked my printer again. It is still printing. Hope you get yours printing and I hope mine continues to print. Just Trashed a MX-892. Error code U052 popped up mid page when printing. Went through all of the same things other contributors tried to reset. Call to Cannon completely unhelpful. Ink is expensive, machine jammed easily in home use. Just picked up a new EPSON, hopefully these guys are doing a better job in production. My first and last Canon product. I decided to clean the ribbon that the printer head runs on and the rollers cause they were all mucked up. U52 the UFO code popped up. Canon tech had me take it all out and put it back together. Told me to run water on it but not soak it (sink got blue) and said no alcohol. Plugged, unplugged etc. Frustrated and ready to try alcohol. I am pretty sure it has to do with the ribbon thingie or rollers now being unhappy or out of whack. Yuk. Oh, and before this, half the time the fax button would not work and it would be stuck in print mode and I'd have to turn it off and on to get it to fax. Just had the error on my ms5320. I've had it less than a year. Looking into getting a new printer, not a Canon. I have an MG5350 and this error message simply appeared one day and shut my printer down. I have followed all teh online tutorials, YoutTube, Canon website etc. and the error is not going away. Not sure what to do now. AM amzed that Canon do not have a fix after so many years. My printer is only a 1.5yrs old and if don't solve by weekend that's me and Canon going our separate ways. This is amazing how these companies treat their customers. My over 6 years old MP610 suddenly showed the U052 error. I looked up in Google and did all cartridge tricks without results. The next step would be cleaning of the printhead, but that would mean dismantling of the printer what I didn't liked. So I tried some start up tricks: Pressed and hold both selection buttons underneath the screen, and switched on the printer. After a long start up the 'copy' screen appeared, and it printed a copy of a sheet that I had placed on the glasplate. The next test was prining the pdf that initiated the error: that also went fine. so I think the error has been solved. I just went to the site and put my name on the class action list. These printer companies need to be brought down a peg. Their consumables are nothing less than a ripp off. This printer had light duty. I have a Minolta PagePro 1350W that is older and has printer thousands of more pages than my MX700. I am not expecting any money from the class action or if there is any it will be minimal. But....it will be a whip to make Canon to change their business model. I have the same problem as well and it doesn't look like any of the suggestions work - cleaning the printhead, cleaning the insides, using alcohol. I get either a printer error (B200) or Error U052. Looks like I have no choice but to by another printer at this point. Same problem here. Suddenly a U052 message. Nothing works. I have to buy a new printer but this wil NOT be a Canon. Never again!! Same here. This is just a "built-in obsolescence" issue to con you into buying a new printer. ..continuation of previous comment. Epson did a similar thing to me a few years back. Canon could bat away the "U052" class action if they were honest and changed the test to "U052 Buy a new printer error"
Same problem as everyone else. Last Canon product for me. Piece of junk. Solution 3b worked for my Canon MP560 w/ U052 error. Thank you! this happened to my MP620 last week. the selection button solution isn't working, either is taking inks out and putting them back. I will try cleaning it and using alcohol on the metal parts. - While the printer still open, plug the power and turn it ON. - When the printhead still moving and is going to the very LEFT, close the cover. - Wait until its boot up. I did it 2..3 times to recover succesfully from B200 error message. two different class action lawsuits in regards to this error. I posted the infor in the canon forum and mods keep deleting it. Let me first say: YOU CAN REPAIR YOU PRINTER U052 IS SOLVABLE. I reset the printer. No success. I replaced the cartridges. No success. Worked for 2 Month, then same error. I thought: WTF, found this side, and tried again. Replace all the catrigeds in the MP600R from the "old" ones in the MP600 (which also showed the u052 error) from a different Manufacturer. Also, I took of the print head (its super easy, just open the clamp above and strip it out), scratched a bit with my finger nail in the tint INLET which seemed little bit different then the others, cleaned the contacts on the backside (don´t touch the valves on the downside! ), set it back into the printer. Et voila, it worked again. I cannot say if it was the exchange of all the catridges (the "new ones" made my first MP600 actually show the u052), the "finger nail clean procedure" on the pigment black tint inlet (the one most prone to "get stuck"), or the refitting of the print head which helped. BUT - I have one suspicion. The Printer is black. It is located directly at the window since 4 Month. In this 4 Month I had 2 perfectly working printers gone defective. EXCESSIVE HEATING UP OF THE PRINTER THROUGH HEATED AIR / SUNLIGHT ETC. IS EITHER MAKING THE TINT INLETS OF THE PRINTHEAD "STUCK" OR THROUGH HEATING AND COOLING DOWN THE PRINTHEAD IS MOVING LITTLE BIT AND NEEDS REINSERTION TO HAVE PROPER CONTACT. It´s probably a combination of non-perfect replacement tint with longer periods of no use and a lot of dry / hot air around. I was able to make U052 go away by letting the printer find no print head on reboot. 3. Power up, let it make error "no print head"
5. Begin regular cleaning cycle from windows-control panel-devices and printers-canon-maintenance etc. while printer is inspecting the "new" print head. Note: my MP970 is still clogged so the problem might reappear after cleaning as it did before. But at least I can now scan. After a whole morning spent cleaning and trying all the above remedies I eventually managed to make error U052 go away by firmly launching the canon mg 5250 piece of junk fifteen feet into the kitchen and onto the concrete floor. Five minutes later ,after a small bit of sweeping and a light hoover, it had magically disappeared thereby leaving my house cleansed of canon, which is how it will stay in the future. I feel bad that so many people have this problem, even worst Canon isn't even helping, I find it odd there is nothing the law can do to help us, this seems like deliberate refusal to offer a repair/fix for this problem. I also believe there are some who, for what ever reason are inventing fixes that don't even make sense and say that they work, I think they simply want people to click on links to other sites that give them points etc. I haven't seen one thing that resolved the U052 error message, it has to be either a major defect or a chip that someone planted in these printers, could be similar to people who place foreign objects in soft drinks, medicine, chips, or other consumer products, there are some sick people out there, I would imagine Canon is trying hard to find the solution, I pray they find it soon. U052 error popped up yesterday afternoon when I wanted to print a letter on my Canon PIXMA MG5250. I had this U052 error before but couldn't remember what I did to 'fix' it. Did a search on solutions, tried a handful - no luck. Then did a search on reviews on top All-in-printers and was surprised that Canons are listed as the top choice on many sites. Today I cleaned the print head (again) and the print head cradle paying attention to the contacts, then followed meomarte's steps 1-4 and it worked!!! Short term I'm not going to use it for printing, my immediate priority is to scan. Same issue as the rest. U052 error message. 6 year old Canon Pixma MP610. Working fine last night, error message this morning. Read all above and, well blow me down; Removed cartridges, removed print head, reinserted print head and then cartridges, turned printer off and left for 10 minutes, rebooted PC in the meantime, turned on printer and shoot, error message still there. Next; unplugged printer from mains and left for 20 minutes, went and cooked myself some poached eggs on toast, returned to printer, plugged back into the mains and then pressed the power switch holding down the two long buttons under the screen at the same time. Printer went through a longish boot up clearly going through a full print head clean process. Finally settled itself down and WOW, no error message. Did a couple of test prints and all seems OK - well for now at least. Don't know what holding the two long buttons beneath the screen did or indeed whether it made any difference, nor do I know (yet) how long the error message will stay away for but the unplugging from the mains thing has to be worth a whirl. Now to find a print head unblocking method that actually works and not most of the 'solutions' that appear on u-tube. Have to say that Canon's support out of warranty is PITIFUL at best. Saying that if the power thing does not work 'sent it to Canon for a service' for some exorbitant whithout them telling you what is actually wrong is tantamount to Canon taking the pi*s. In fact why can't canon be transparent and tell you what the problem is anyway - unregulated industry ! Can't help wondering if it is something to do with either the ink tray that filling up after repeated print head cleaning sessions or there is some code that gets sent back to Canon when X hundred/thousand prints have been made ot otherwise is time activated. Very little surprises me with the way the computer industry works in the search for the Holy Grail of making even more money for the Rich ! Happy to give my name - Andy Coles and I live in the UK. P.S. Apart from the clogged printer head and this error message I have to say that the Pixma MP610 is one of the best printers Canon have ever produced, nothing like the flimsy junk currently coming from that stable. Thank you for your testimony ! I contacted Canon in Australia, referred to the law suit in the US, sent the printer to the authorised repairer, and it was replaced by Canon with an MX726. I hope this information might be of help to you. How does this settlement affect customers from Europe ? Is there any chance that Canon europe has to repair or replace my MP970 ? In my case the replacement printhead did not work, directly out of the package. I tried it on 2 Pixma MX860 printers, on each of which an old printhead worked fine. I was tempted to return it - especially because the printhead as delivered was wet with ink and some other fluid, but found that a printhead cleaning procedure enabled it to function well (for me, this time). For the procedure you will need: 1. Water; 2. Glass cleaner such as Windex; 3. Rubbing Alcohol; 4. A dish or bowl (plastic or glass or ceramic (or metal?) whose diameter is large enough to accommodate the printhead; 5. A heat source to dry the printhead after cleaning. Procedure: 1. Spray the printhead liberally with glass cleaner. You may want to direct the spray into the incoming and outgoing ink orifices; 2. Soak the printhead in a water+glass cleaner solution dish for an indeterminate time; 3. Swish the printhead around in the solution to extract from the printhead ink that was presumably used in manufacturer testing; 4. Rinse the printhead off with clean water. Pat its orifices with a towel or paper towel; 5. Dispose of the solution; 6. Repeat steps 1 through 5 until no ink seems to be leaching from the printhead either into solution or onto the towel; 7. Pat the printhead dry with a soft towel or paper towel; Do NOT let the printhead dry any further yet! ; 8. Soak the printhead in rubbing alcohol in the dish. Swish it around with the goal of displacing water left in the printhead with the rubbing alcohol. Let it sit in the solution for an hour or more; 9. Repeat step 8 with new rubbing alcohol another time or two; 10. Dry the printhead with non-destructive heat. I used a combination of soft toweling, sunshine and forced air house heat; 11. Try it out again in the printer. I hope that it works for you. I have tried all these suggestions and still getting Uo52 error. Any other ideas? There is only one way to repair a U052 persistent error. Replace printhead and motherboard. The printhead and motherboard do not have the static protection that other printers have. Hence when you replace the ink cartridges a slight static discharge will ruin the printhead. This happens on a lot of electronic equipment that fails to be engineered properly with static protection on the input/output connections. Here's the added engineering failure on this machine. The printhead isn't the only unit in this machine that does not have the static protection. The motherboard drivers are also not protected. Here is what really happens after you get a persistent U052 error and if you replace the printhead. The shorted drivers on the motherboard will short out the drivers on that brand new printhead. Now if you were electronically inclined you could figure out a way to replace the drivers on both, which would be the cheapest way to repair this printer. However you still have the engineering issue of no static protection. To repair this is not an easy task even for a pro. If you wish to be dogged about this, replace both the motherboard and the printhead at the same time. Problem Fixed....maybe, and at a cost of $75-$140. I fixed mine for a cost of about $80.00. Only because I am a stupid ahole. The problem came back the very first time I replaced the ink cartridges and the printer is now sitting on my 9mm range in back of my house. What an expensive target but I am somewhat satisfied every time the gun goes off. Every couple years I host a "computer shootout" at which printers have earned a prominent spot. We take all the technology that has failed us in the past year or two out to a target range at an abandoned quarry in the national forest, and blast the heck out of them all with all the armaments we can muster. And I keep a cut-down pool noodle next to my computer to whap it and its peripherals when they misbehave. There is sound and fury but no damage. None of the above helps the computers to work better, but it certainly makes our demeanors more pleasant and our attitudes more accepting of techlife's vicissitudes. btw - re the shootout - we have a range safety officer, clean up all our computer shootout mess to recycle, and any beer and pizza are left to after the event. I followed Solution 4, where I soaked the bottom of the printer head in 70% Alcohol overnight and then dried it for a day. Now I no longer have the dreaded U052 error (thank God!). Thanks for all the different suggestions for a fix. Took out the print head. Washed the ink head in a stream of water from the tap (on low) for about 5 minutes, until the water ran clear. Warmed in oven at 50 degree celcius for 10 minutes. Put back into printer and hey presto - working again now!! Replaced printhead with $30 ebay after troubleshooting and it works great. Use the up or down arrrows on “Search/Speed Dial” (up/down, left/right dial) on the printer until you see “purge: xxxx”. NOTE: if you go down you will see 55:OK. If you go up, you will see COMERR1:00000000. Use the code “2783” to zero out all error codes! Press “99” to exit the maintenance mode. Despite many comments online of doom and gloom for a Canon printer that receives the U052 "wrong printhead" error message, it only took a few minutes to fix our problem! Tried solution 3b from Arjen.... It seemed like the easiest one to try first to begin with. I turned off printer, held the two right buttons under the screen, turned printer back on while holding the buttons. As I patiently waited for my printer to warm back up, I got my doc ready....then pressed print. Worked like a charm on our five year old Canon MX882. Thanks Arjen! Hello, I know this is an ancient article, but I think some may still find its comments useful. I have Canon Pixma MG5350 and I encountered U052 error. None of the solutions above worked, but one other did. 1) I removed all the cartridges and the head and turned on the printer. 4) I turned off again and I got error U051 - none of the cartridges were not recognised. 5) Turned off and installed one cartidge - printer recognised it. 6) I installed the cartridges one by one, making sure it is recognised. 7) After last cartridge, printer behaved ok, like nothing ever happened. I tried several test prints and it looks good. It probably isn't a long term solution. The MG5350 is pretty old anyway. Solution worked for me but I assume I was lucky. Still worth of a try though. Holy smokes Johnny, IT WORKED!! Thanks a lot. Dunno if it will last but my Pixma M600R is back in business yay. It turns out I was jumping to conclusion..after less than 24hrs the same error popped up again. Nothing works. Didn't recently put in new ink cartridges to "short out" the print head. Was printing just fine until this afternoon. Will never buy another Canon printer again. They should stick to making cameras. (And love how on their site, in 2018, still telling people to contact tech support so they can properly trouble shoot your problem, like the whole class action suit never happened). Bozos. I wish I was living somewhere where I could safely smash the damn printer to smithereens and not have someone call the police! Beyond ticked off. Have about $30 worth of ink cartridges. Can I force Canon to pay to send this printer back to them for proper recycling? BTW: What other multifunction printers besides Canon do you all recommend? I had an Epson for years but the ink kept drying up. This soon to be trash Canon is a PIXMA 560 MP (scan, print, copy). I have had this problem on my Pixma MG5370. Tried all suggestions including buying a cleaning kit. Took the printer to the Canon Service Centre only to be told they cannot fix it. Needed to buy another printer, this time a Brother but quality and versilitilty not as good.. Bah Humbug Canon for your lousy backup service. Dear Canon Printer Support: My solution was to throw out your printer and buy a Brother instead.